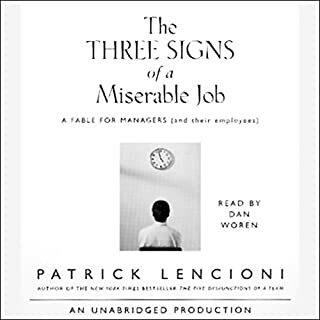 In the years following the publication of Patrick Lencioni's best seller, The Five Dysfunctions of a Team, fans have been clamoring for more information on how to implement the ideas outlined in the book. In Overcoming the Five Dysfunctions of a Team, Lencioni offers more specific, practical guidance for overcoming the five dysfunctions, using tools, exercises, assessments, and real-world examples. A five-time Moth GrandSLAM winner and bestselling novelist shows how to tell a great story - and why doing so matters. Whether we realize it or not, we are always telling stories. On a first date or job interview, at a sales presentation or therapy appointment, with family or friends, we are constantly narrating events and interpreting emotions and actions. In this compelling book, storyteller extraordinaire Matthew Dicks presents wonderfully straightforward and engaging tips and techniques for constructing, telling, and polishing stories that will hold the attention of your audience (no matter how big or small). THIS is your storytelling book! The Advantage: Why Organizational Health Trumps Everything Else in Business by Patrick Lencioni is a practical guide to organizational health. Organizational health is a characteristic of many successful businesses and organizations. Leaders can adopt organizational health strategies to transform their own operations and company culture in order to see the same successes that many other healthy organizations do. Patrick Lencioni's The Ideal Team Player: How to Recognize and Cultivate The Three Essential Virtues posits that in order to succeed - especially in a work environment - one must be a team player. Business leaders must be able to identify and hire team players to secure the best possible advantage over their competitors and leverage all the benefits of teamwork. Ideal team players share three core virtues: They are hungry, humble, and smart. 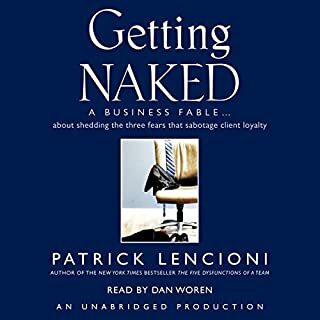 In this unique and groundbreaking book, business consultant and New York Times best-selling author Patrick Lencioni turns his sights on the most important organization in our lives - the family. 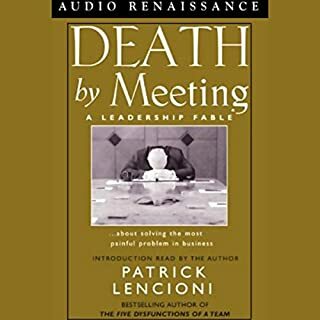 As a husband and the father of four young boys, Lencioni realized the discrepancy between the time and energy his clients put into running their organizations and the reactive way most people run their personal lives. Having experienced the stress of a frantic family firsthand, he and his wife began applying some of the tools he uses with Fortune 500 companies at home, and with surprising results. 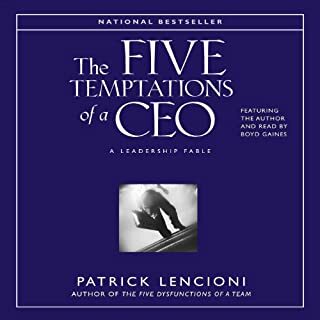 I have read a number of Patrick Lencioni's books. This one, too, does not disappoint. 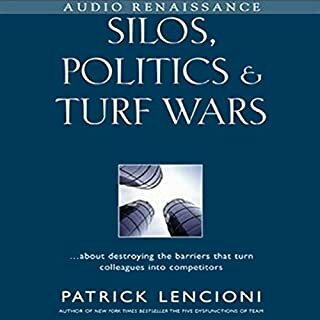 I read a lot of business writing and Lencioni again does well to help us grasp new habits that could be complex if we were left to decipher them ourselves. This book takes us through a family's trek to discern their own family values (using the 3 q's), and as a product of that, they are able to develop their own priority statements, which they use to develop short term goals while maintaining crucial priorities. I initially picked up this title because it promised to answer the questions my wife and I have debated for so long. My wife has come out of it even more enthusiastic than I! This was time well spent. My wife and I are already using it to define our own value and family priority statements. My wife and I listened to this on a recent trip back from KC to Dallas. She said the life of the wife was spot on. She ordered the book from Amazon and we're going to give this approach of family planning a try to put some agreed priorities in our lives. The author did a good job of taking some basic business principles and integrating them into a family's day to day living. It is surprising how easily this transfers but how compartmentalized we can be. Bridging these theories , I believe, can bear a lot of fruit in one's home life. Excited to give it a shot! The examples in the book are extremely authentic. It was like narrating every day activities for my family. Sound practical solutions and, in many ways, fresh look at how to inject more success in family life. The narrator is a weak point. Articulates how I feel daily. Every example used is completely relatable. I can definitely take the model and apply it to my family and quickly see progress. It's about CONTEXT not PERFECTION! 30 minutes of content padded with fours hours of fluff. The overall message is great. I would STRONGLY suggest listing to the interview the author did at the Art of Manliness podcast. So much of this is just pointless filler designed to turn this into a book. Let me clear, it is worth slogging through the nonsense in order to get the author’s points. However, the VAST majority of this book is completely unnecessary and comes off as filler just so it can be made long enough to call it a book. This book was very thought provoking. It caused me to evaluate the way we run our home and our lives. If anything, it causes reflection, which is never a bad thing. Very informative and easy to follow. 2nd time. I've bought this book and have listened twice already. Third time I'm going to sit down in front of my computer and take notes. what a great book. I listened to it which made it somewhat hard to remember the principles, but I would just go back and listen to a few chapters to write down the key concepts and the 3 big questions. my husband and I have done the exercises and have already implemented them into our lives. I also decided to ask myself the 3 questions for personal growth as well. The story makes the key points easy to digest. The process driven part of me appreciated the breakdown and application guide at the end. great read for husband and wife teams. I couldn’t get more than a third of the way through this. The fable is a story so co thrived it was insulting. It was inauthentic, had twee interactions, and patronising. I couldn’t connect to the fake questions Theresa asks to expose the story. I was expecting something a bit more heavyweight and in keeping with Lencioni’s gravitas. Fine to make theory more accessible, but this was insultingly “dumbed down”. I couldn’t see/hear through it to extract any legitimate content. Highly recommended. I'm an organised, forward-thinking person, so this kind of approach really appeals to me. I'm excited about sharing this with my wife - it'll provide us with a excellent framework and universal language for focusing our family on what's important and how we make decisions. Four stars instead of five because I thought too much of the "business stuff" from other books (specifically The Advantage) was covered early on. For me, that's fine, I'm a big fan of Lencioni and have introduced a lot of his work at my company. However, I think others may have to battle through some of that to get the real value from this book. 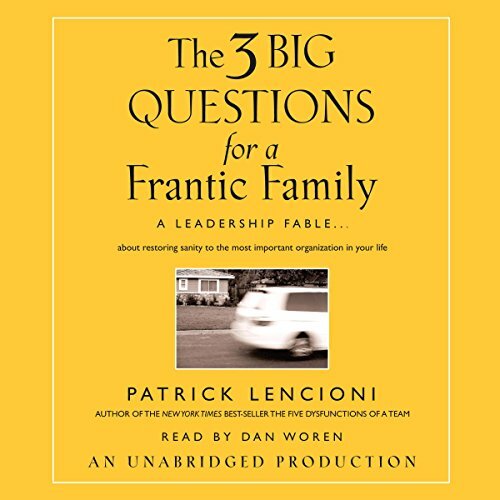 But battle through they should, because the second half - when the main family starts breaking through and Lencioni provides several examples of real families implementing the three questions - is great! Would recommend to anyone with a family or starting one! !